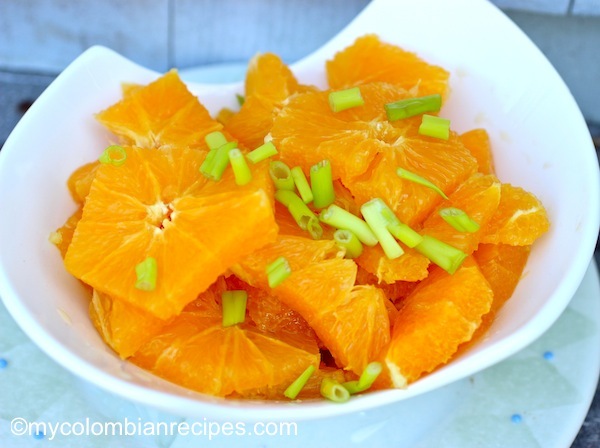 If you’re looking for salad recipe for Memorial Day weekend, try Chuyaco, a traditional orange salad from the department of El Valle del Cauca in Colombia. 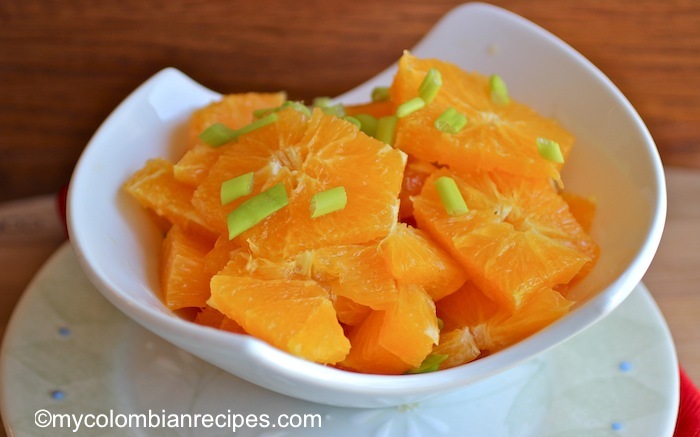 This orange salad is a perfect appetizer to start your meal, or a side dish for grilled meats and seafood. 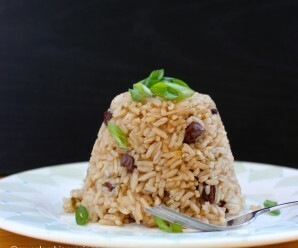 Eat it as is or with a light meal, either way, it’ s satisfying and tasty! 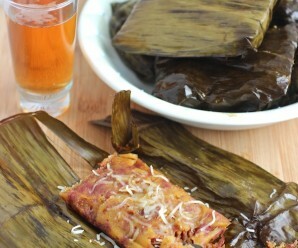 Chuyaco is very easy to make, absolutely delicious and healthy. 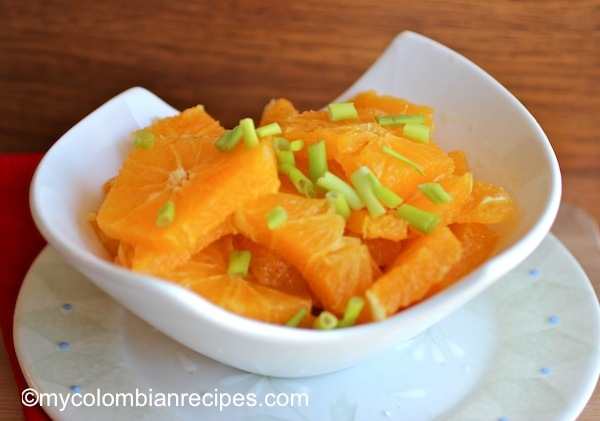 Fresh oranges mixed with a dressing made of orange juice, panela, scallions and chili pepper. It’s fresh, sweet and tangy with a little kick from the hot pepper. 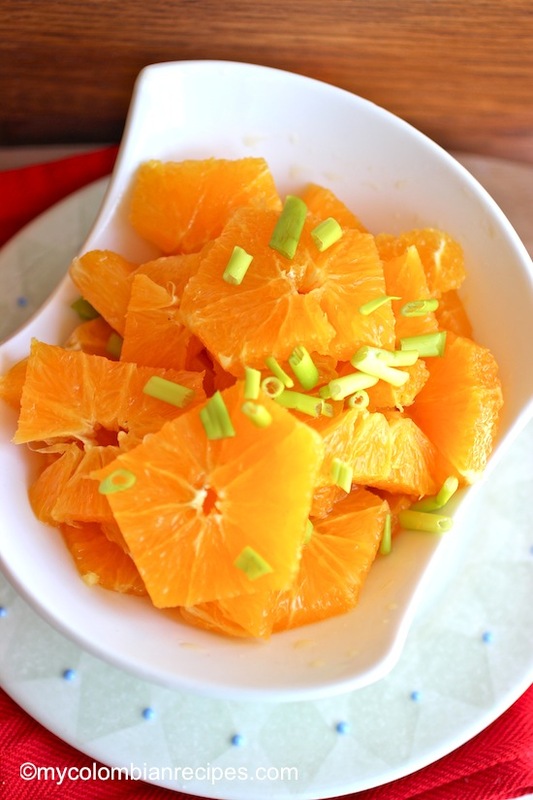 This orange salad is a wonderful addition to any picnic or barbecue table. I hope you all have a wonderful Mamorial Day weekend! Remove the white parts from the oranges. Slice the oranges crosswise into rounds 1/4-inch thick or cut along both sides of each membrane with a paring knife to remove the segments, allowing them to drop into the bowl. Discard any seeds. Place in a serving bowl. 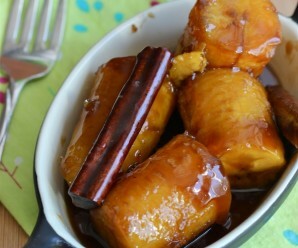 In a medium l bowl, combine the water with brown sugar or panela mix well until the sugar dissolves. Add the orange juice, scallions, hot pepper, salt and pepper. Add the dressing to the oranges mix well and place in the refrigerator for about 15 minutes before serving. Serve cold. 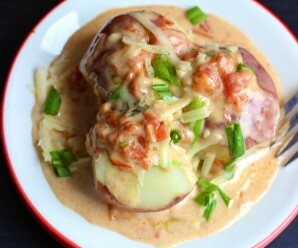 How exotic and delicious is that! Never thought about putting oranges and green onions together. I feel so fresh just looking at it! Gorgeous! We eat a lot of orange salads in Andalucia and make a similar one which also uses chopped mint. 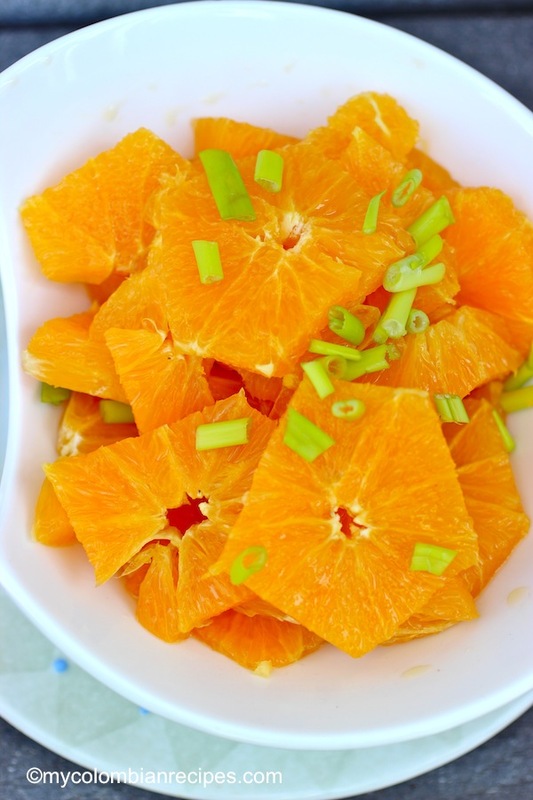 I enjoy a good citrus salad….Love it. Looks incredibly summery and refreshing. Have a great long weekend! 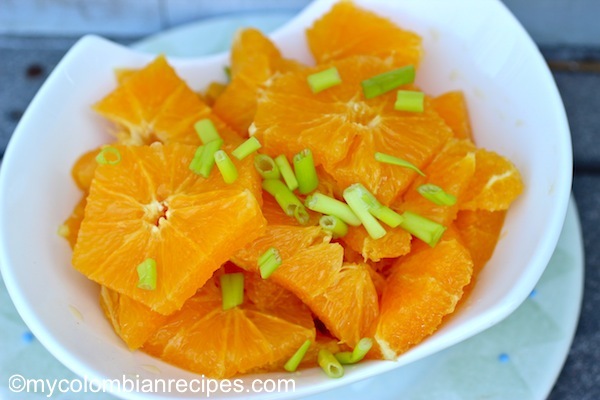 your oranges are perfectly sliced, and i’m loving the elegant simplicity of this dish!